All forms available for Online Requests. Click the Submit Online button for the appropriate product to request a quote. Please fill out this form if you'd like to receive a quote for EECO Doors & Entrances. 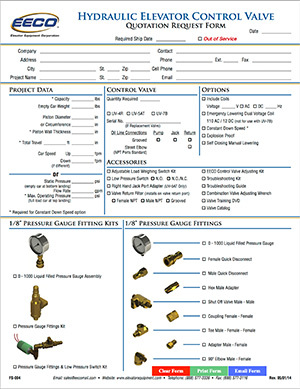 Please fill out this form if you'd like to receive a quote for an EECO Hydraulic Control Valve. 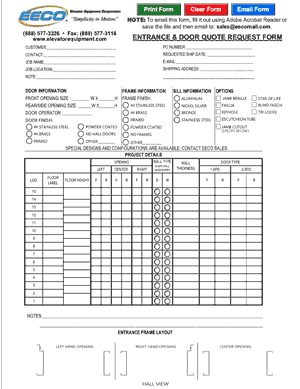 Please fill out this form if you'd like to receive a quote for EECO Hydraulic Jacks. 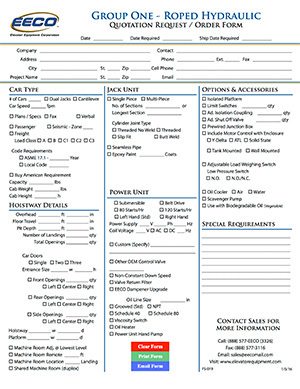 Please fill out this form if you'd like to receive a quote for an EECO Power Unit. 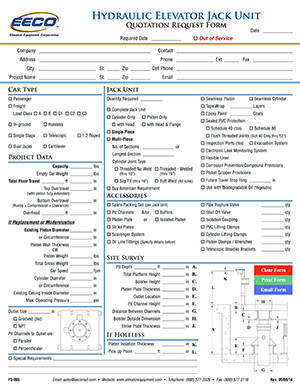 Please fill out this form if you'd like to fill out a single form for jacks, power units, slings, platforms, and accessories. 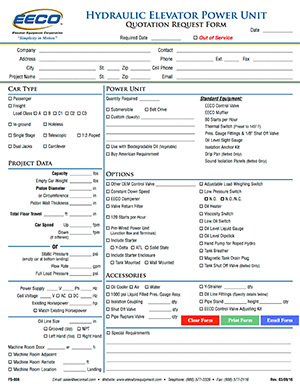 Please fill out this form if you'd like to receive a quote for an EECO Group One Roped-Hydraulic package. 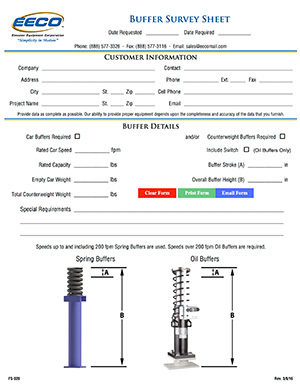 Please fill out this form if you'd like to receive a quote for EECO Oil or Spring Buffers. 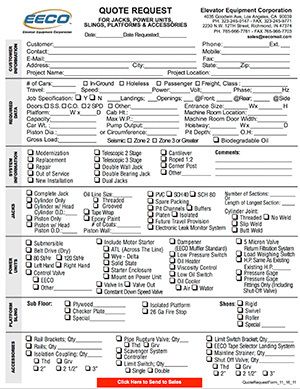 This information will allow us to quote the correct buffers for your job.